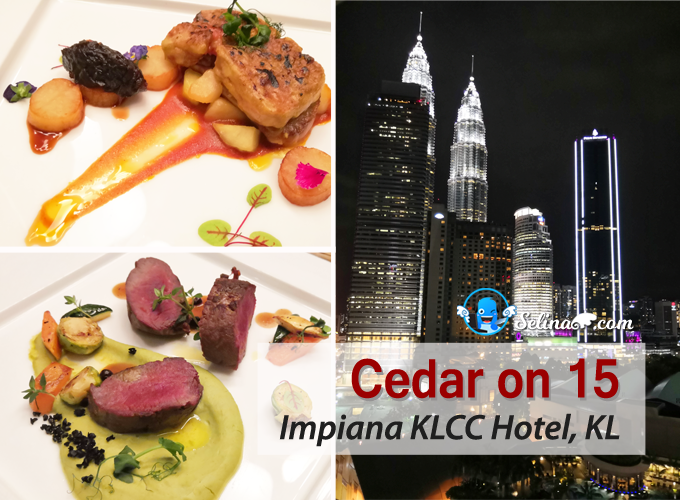 Updated on December 2014: Since Angie Leong resigned, There are new young staff joined Kent Cheong, Deaf co-owner to run the Coffee Sprex at Kelana Jaya, Petaling Jaya. 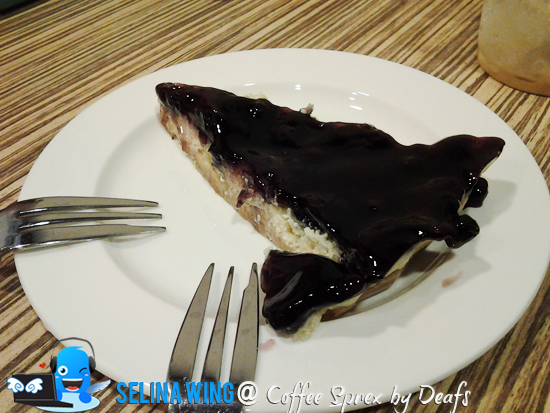 Last October 2013, my best friend told me about Coffee Sprex alot!! 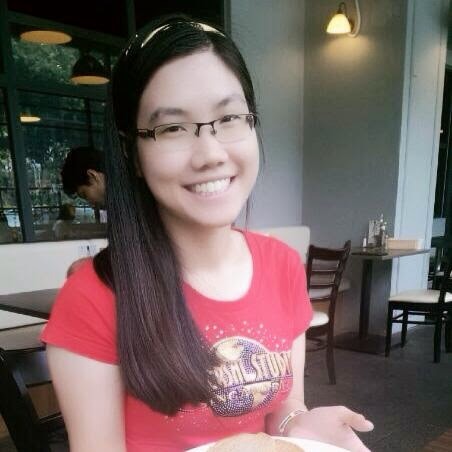 She interested in this cafe! It make me curious. 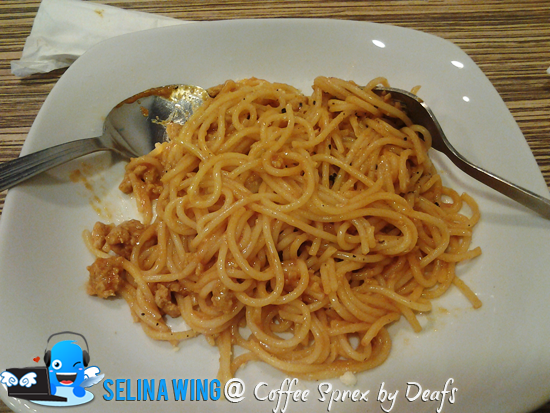 So, we went to Coffee Sprex, Kelana Jaya during the lunch time only. 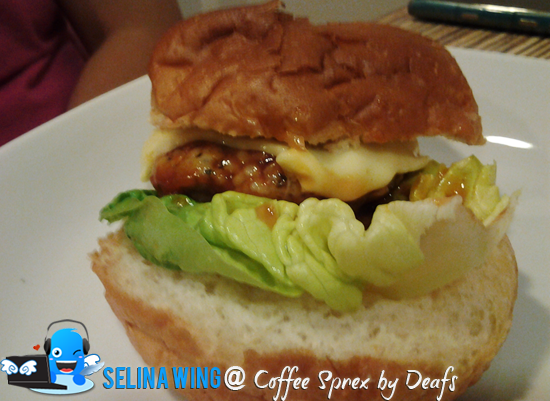 If you come to this cafe by Deafs, don't worry. You just given the order paper with menu book, then you write down on the order paper and give to the Deaf staff only! Just like the service of Old Town Coffee. Coffee Sprex, bringing you Coffees of the World, at an affordable price. 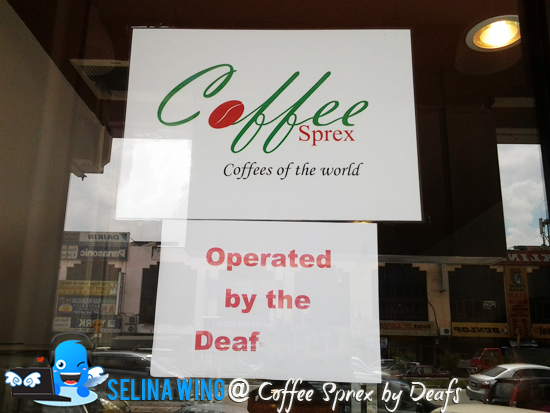 Coffee Sprex, is operated by Angie Leong and Kent Cheong who are Deaf have joined their forces to be co-owners of Coffee Sprex Cafe. Angie, her skill is in her CREATIVITY of making DRINKS, hot or cold. Kent, his skill in baking and cooking food that is UNIQUE and RARE. 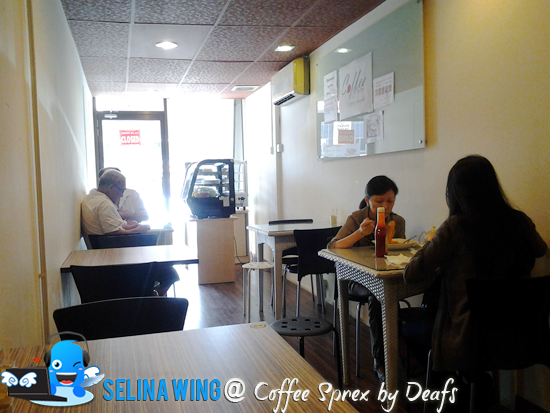 Their cafe is small space, but it is very good to get more profits to help two Deafs can share together so easily. This place is suitable for the customers who need the breakfast, and lunch only. It open at 8:00 am - 7:00 pm on every day; Mon - Sun. I not always eat the Western food, so I decided to order the Spaghetti with pork meat. My best friend ordered the Pork Burger. She really loves the pork! We just got the normal drinks; coffee latte and tea only. The Deaf staffs who asked if their food are good or not? 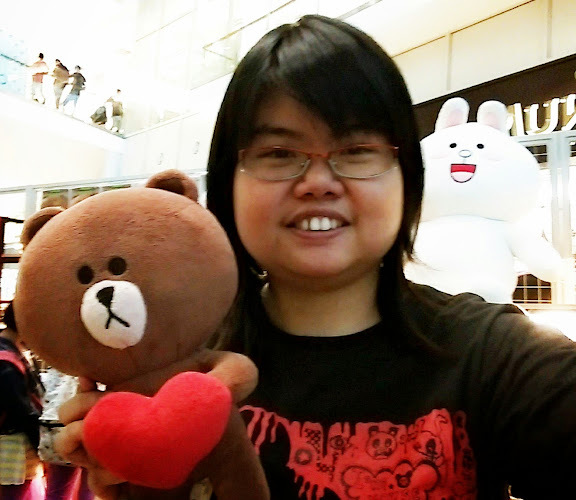 They are really hardworking and very care about the customers who come to visit the cafe! They always make sure all custromers who are happy with their service on every time! I saw the blueberry pie made by Kent, I want to try it! My best friend and I shared one so it is very delicious. They are needed to improve their skill to increase their experience to cook, bake and making the coffee! Oops! I took this image so it is not nice. I won't disturb them because they are very busy to serve the custromers! 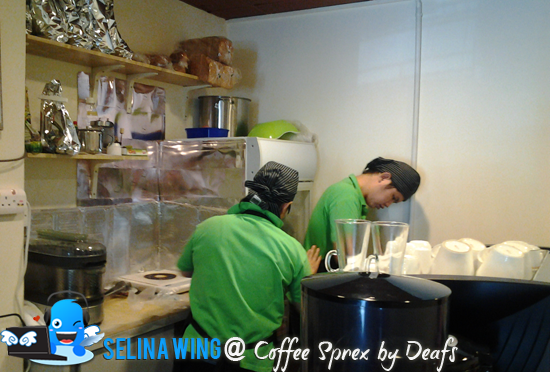 Nevermind, you can see their faces to visit the Coffee Sprex on Facebook. We wish that their cafe sure get a very good business. Angie and Kent must not give up when they faces the challenge to manage their own cafe on everyday! Great thumb up!